You will never know what it meant to me having you present me with my quilt! I do use it all the time. The honor was mine, Liz. 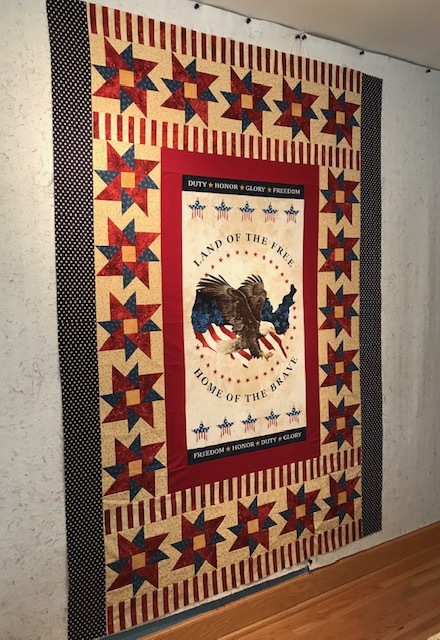 Such a beautiful quilt Marianne. Indeed, when we remember it is not “about me” but “about them” we come to embrace the “what they need” with “what we want.” “We” appreciate the intricate patching and quilting—”they” appreciate the honor and the love. Anything made with love and given to another is a priceless gift to be treasured forever. Amy, thanks for following my quiltmaking and publication journey. MY LIFE WITH SHELLEY will find a publisher!